I’m very proud of both my teams at MonkeyMedia Software and The Catering Institute. For the last 20 years we have focused on a single business strategy called the 5 Pillars of Successful Takeout, Delivery and Catering. All of our products and services are focused on helping restaurant operators to grow sales and increase profits through feeding their customers where the LIVE, WORK & PLAY. Through our consulting and coaching, and our curriculum and technology, we have been able to provide a sound business framework that is scalable and predictable to the Fazoli’s team. I want to point out here that the ONLY reason it is working is because of the leadership and franchisees at Fazoli’s. They are leveraging it properly and are applying it methodically. This is yielding exemplary results. Yesterday, Fazoli’s put a statement out to the marketplace that they are doubling down on technology and catering. I am not posting it here to boast, but simply to call out that because of Carl Howard’s leadership and the conviction of his whole team, they are moving the needle for their franchisees in a meaningful way. For me, it’s always been about the people and I am blessed to be able to work with the leadership team at Fazoli’s. OK. So we all know that delivery for restaurants is complicated! But wait a minute! Are we talking about “takeout delivery” or “catering delivery”? Does it even matter? I think it does, and I will tell you why. As I woke up today scouring the industry trade publications, I couldn’t help but notice all the rage about 3rd party delivery services for restaurants. What’s even more concerning, are the crazy valuations that these 3rd party delivery companies are getting, because they have convinced investors that “their technology” is going to disrupt the entire space. Disrupt the space? Really? I doubt it……. Or just watch this crazy video about Munchery that was on Mad Money. I mean, an $85 Million Valuation? How is Munchery Different than any restaurant? Remember, this is a “trend”, and all trends come to an end. Don’t they? This whole market is being driven by software development. I know, because my team has been developing real software solutions for the restaurant space for almost 20 years. 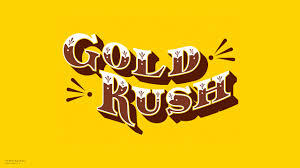 I read another article recently about “Gold Rush Software Development”. See the paragraph below….. The odds of striking it rich during a software gold rush are about as good as they were during the California gold rush—for every success story, there are hundreds or even thousands of projects that bust out. But the failures aren’t nearly as interesting as the successes, and so we don’t hear very much about them. As with the California gold rush, projects run with commitment-based development are successful just often enough, and are so enormously lucrative when they do succeed, that they convince software developers that such high-risk practices can work, thus keeping the entrepreneurial dream alive. And so, this really got me thinking about how all this is going to impact our community? What happens to the restaurateur during this process? All the hard-working entrepreneurs, franchisors, franchises and independents. The people who have mortgaged their homes to open their restaurants? They are being bombarded by slick sales people who say they are adding value to the transaction process. Well, be careful, that’s all I can say. These companies do not understand your restaurant operations. Not only is our community overwhelmed by this “technology gold rush”, but in fact, they are putting our businesses at risk. As a restaurateur, if you are approached by the plethora of 3rd party delivery companies that are promising you the moon and “riches”, BEWARE. They are simply interested in the valuations that they are going to get in the market by investors who think that they are going to get rich in the process. They are completely disconnected to the impact that their promises will have on your restaurants execution and reputation. The one you have worked your whole life for. At MonkeyMedia Software and The Catering Institute, we spend all our time focused on restaurant operations and adding value to our customers by making sure we are creating products and services that are logical. I am proud of my team for staying focused on our vision of helping restaurants to grow sales and increase profits in the off-premise space. Takeout and Catering for pickup and Delivery. My advice to all the restaurants out there that have to deal with this Gold Rush? If it sounds too good to be true, it probably is. Focus on the basics. They always work.